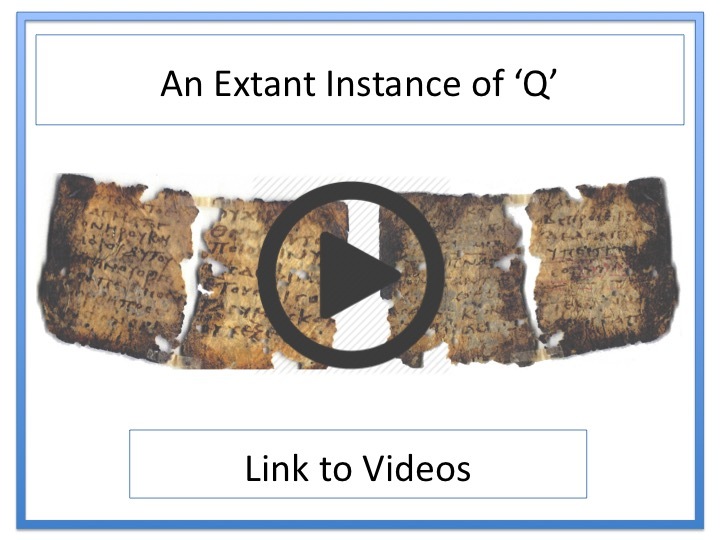 ﻿This presentation revisits BH Streeter's influential reasons for supposing that Luke did not use Matthew, and vice versa - thus requiring the existence of Q. It observes that Streeter made two logical mistakes, often repeated in subsequent discussion. When these errors are corrected, however, Streeter's 'other' solution emerges: the Matthew Conflator Hypothesis (MCH). This presentation begins by noting that a good Synoptic hypothesis is like a good multi-vehicle accident reconstruction - all the individual pieces of data need to be accounted for within a single overarching story in which each participant behaves believably and consistently. Three pieces of data are examined: High Agreement passages, Low Agreement passages and Alternating Primitivity. This presentation looks at a fourth piece of data: the physical mechanics of creating texts in the first and second centuries. It notes that Luke and Matthew employ very different techniques in their handling of Mark. Thus, Luke acts as a conventional scroll user, while Matthew seems to employ the new technology of the codex. It goes on to consider which hypothesis allows each writer to behave consistently in the treatment of their sources. This presentation takes a fresh approach to three further elements of data: Matthew and Luke 'never' agree in their placement of the Double Tradition; Overlapping versions of the same event are commonly conflated by Matthew; Matthew and Luke sometimes agree in minor ways against Mark. It also considers patterns in Matthew's omissions from Luke. This presentation takes the eight pieces of data considered above and, as with an accident reconstruction, seeks to incorporate them within a single overarching story in which each participant behaves believably and consistently. See other comments and questions - and add your own - here.